Don’t get us wrong, hashtags are a great tool for increasing both the engagement around your social media content and its visibility. Through hashtags, you can expose your content to additional audiences and generate a discussion around it by linking it to a bigger trend. However, abusing hashtags will have the opposite effect. Needless to say, all the social networks are inherently different. LinkedIn content tends to be more buttoned-down and formal, while Twitter is the ultimate place for GIFs and more playfulness. The different networks also have different requirements. The 280-character limitation on Twitter calls for shorter, bite-size posts, while Instagram is all about captivating images. Posting the same message to all the social networks, without adjusting it to match the specific character of each, would result in indifferent audiences and zero conversions. Sharing a very simple, generic image on Instagram wouldn’t yield the result you’d hoped for, as its audience, being visually driven, will simply ignore it. Similarly, GIFs accompanied by a short message might not work as well on LinkedIn as they would on Twitter, as in-depth content performs better on LinkedIn than this kind of content. Before sharing on social media, outline the specifics of each network and customize your content for each. Social media analytics can be your cheat sheet for these purposes and help you match the right messages with the right network. The first rule of content is providing value to your audience. Audiences may see value in your content if it comments on industry-wide topics, uncovers the most promising trends or provides useful tools, among other things. When in doubt, stick to the three E’s: share content that entertains, enlightens or educates. While it might be tempting to only post content about your company and its products, this will lead to audiences losing interest and unfollowing you. This is one of the most common social media mistakes, but that doesn’t mean you should follow the bad examples out there. 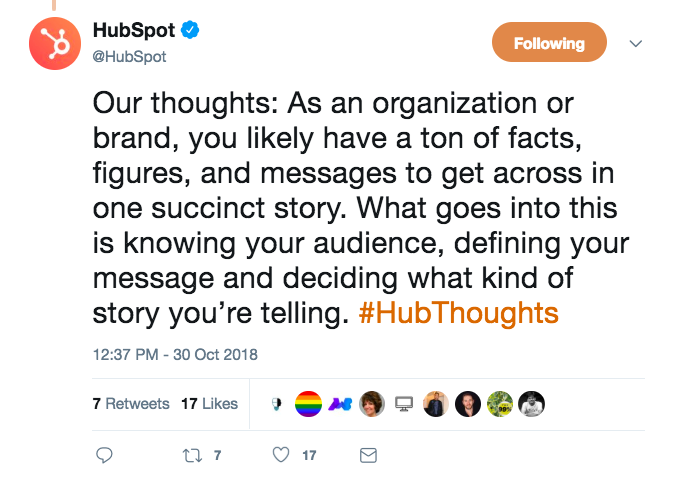 So you’re focusing on providing value to your audience, and in order to do that, you create thought leadership articles. The fail? Your audience doesn’t care about the topics you cover. This is a common pitfall for brands on social media: they don’t do their research before deciding on a content strategy. If your customers and buyers are B2B enterprises looking for major-scale productivity solutions, but you’re sharing content about e-commerce for small businesses- you have a problem. Your content should address your audience’s pain points, offer solutions to those points and can even go as far as covering their professional day-to-day challenges. To do your research, adopt a social listening strategy and learn more about your audience’s wants and needs. Use the insights you glean to enhance your content strategy and create content that is highly relevant to your audience. Nobody likes a one-way conversation. And still, one of the biggest social media mistakes out there is treating social networks like a broadcast channel- a TV or a radio if you will. Big mistake. Audiences want to hear your brand’s opinions, but they also want to share theirs and have a conversation on social media. Ignoring your audience is never a good social media practice. Brands that only share content but never reply to questions, comments or feedback will eventually lose their audience’s attention. To prevent that from happening, keep track of your audience’s feedback and reply to them as personally as possible. Some brands keep sharing the same messages on social media and never look back. They’re not sure which message generated the most clicks or conversions, or which network yielded the best results. They never experiment with different types of content or try and improve their results. Why is this a social media fail? Because those brands miss out on the opportunity to do better. Your social media activity needs to come hand in hand with an analytical mindset. Check the numbers behind your posts- what was their click-through-rate, did they result in conversions? Which message and image led to the most engagement, and on which network? Using these insights, you will be able to build a better social media strategy and reach your goals. One day you’re sharing content about IT technology, and the next it’s all about architectural trends. Some of the images in your posts are funny cartoons, others are stock images of people in suits and ties. In short, your brand isn’t quite sure what and who it is, and it’s showing. If there’s one thing your social media presence needs to channel, it’s your brand’s personality. Before launching your social media presence, dedicate some time to your company’s brand book. The principles outlined in it will serve as the guidelines for your social media activity. Define your content strategy, your tone of voice, visual strategy and other parameters. Make sure to use them consistently on social media and align them with your company’s branding. Following those guidelines will allow you to create a social media brand and reap the fruit of your social media activity. Social media marketing has a trial and error quality to it. There is no one-size-fits-all. To truly understand your audience and which content resonates with them on social media, you need to experiment and try different tactics. To gauge your success- and to avoid social media mistakes- use analytics and compare results over time. Take a look at the social media analytics our platform offers and start optimizing your social content.